The interplay between sculpture, time and the body are central to Marie Lund’s practice. She is interested in the stories objects can tell. The Atlantic Project will be Lund’s first public realm commission. 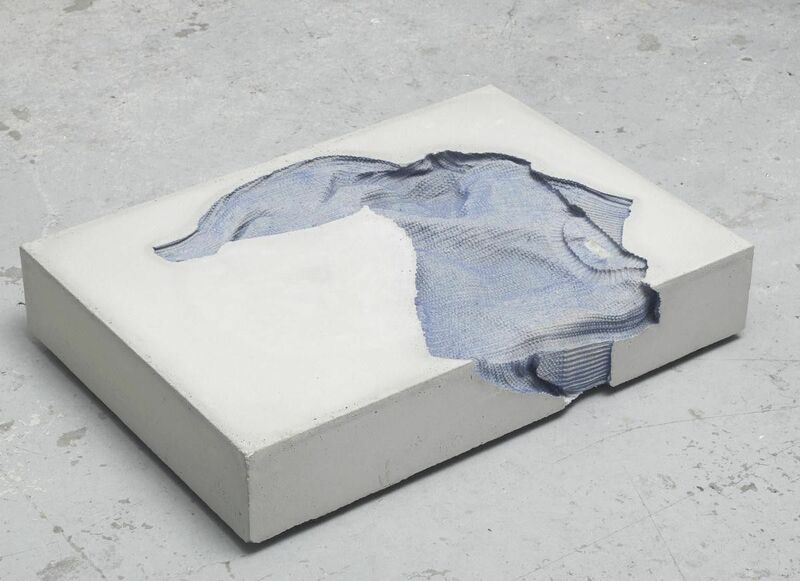 The interplay between sculpture, time and the body are central to Marie Lund’s practice. She is interested in the stories objects can tell, and the impressions made upon them by their original function and by their interaction with other objects, as well as by their subsequent deterioration over time. Often, she contrasts the anonymity of an everyday consumer item, such as a pair of jeans or a sweater, with the particular bodily experience of being ’inside’ such a cultural container, introducing the singularity of ‘My Body’ into these standard accoutrements of the body. Thus, one might describe her practice as juxtaposing the uniformity of material culture with the particularity of lived experience, in real-time. Lund describes her sculptural practice as developing from a process-based relationship to materials, and to physical gestures, out of which objects emerge. The Atlantic Project will be Lund’s first public realm commission. Marie Lund (b. 1976 Copenhagen) lives and works in London. Recent solo exhibitions include Badischer Kunstverein (Karlsruhe), Art Basel, Laura Bartlett Gallery (London), Museo Marino Marini (Florence), Proyectos Monclova (Mexico City), and Croy Nielsen (Berlin). Her work has also been featured in exhibitions at Palais de Tokyo (Paris), GAK (Bremen), Galerie Taxis Palais (Innsbruck), Kunstmuseum Krefeld, Museum of Contemporary Art Detroit, Sorø Kunstmuseum, Koelnischer Kunstverein (Cologne), Kunsthalle Mulhouse, De Vleeshal (Middelburg), Contemporary Art Museum St. Louis, Nomas Foundation (Rome), David Roberts Art Foundation (London), Kunstverein Braunschweig, The Swiss Institute (New York), and CCA Wattis Institute for Contemporary Art (San Francisco).